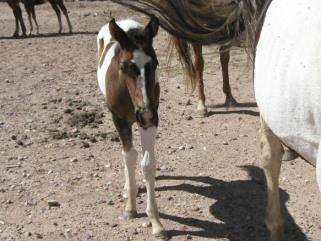 This cute filly is young, but will be big and nicely muscled. 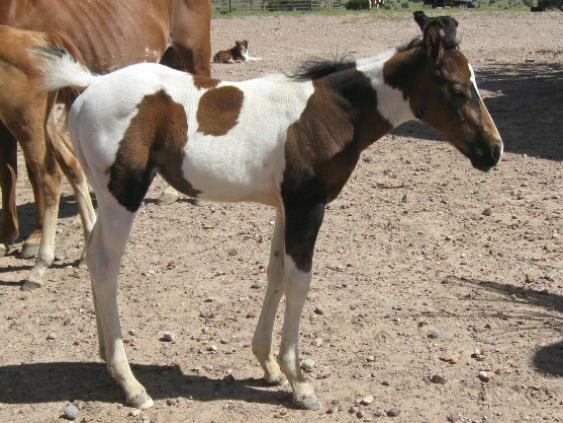 All these foals from her dam are just really nice in temperament and very well built and muscled. She was born looking bay, but seems to be turning black now. Will have lots of bone and that easiest of temperaments to work with.